Elsewhere on this web site you have seen pictures of the beautiful grounds of Flowerfield Celebrations in St. James, NY as well as pictures of their unique cocktail reception room which is unlike anything offered by any venue in the Long Island, New York or New York City NYC area. This picture was taken in the main ballroom at Flowerfield; one of the most elegant dining rooms you well ever set foot in. I always try to get a photograph of the bride and groom in their banquet room before their guests are seated and before they make their grand entrance for the first time as husband and wife. Yes...Flowerfield is that unique. The grounds punctuated by weeping willow trees, the island where you and your guests will enjoy your wedding ceremony, the incredible cocktail hour room built around a free form Koi pond and this, the ballroom, combine to make Flowerfield one of the most spectacular wedding reception venues anywhere. It is also one of my personal favorites providing unlimited photography locations for casual and contemporary wedding pictures. 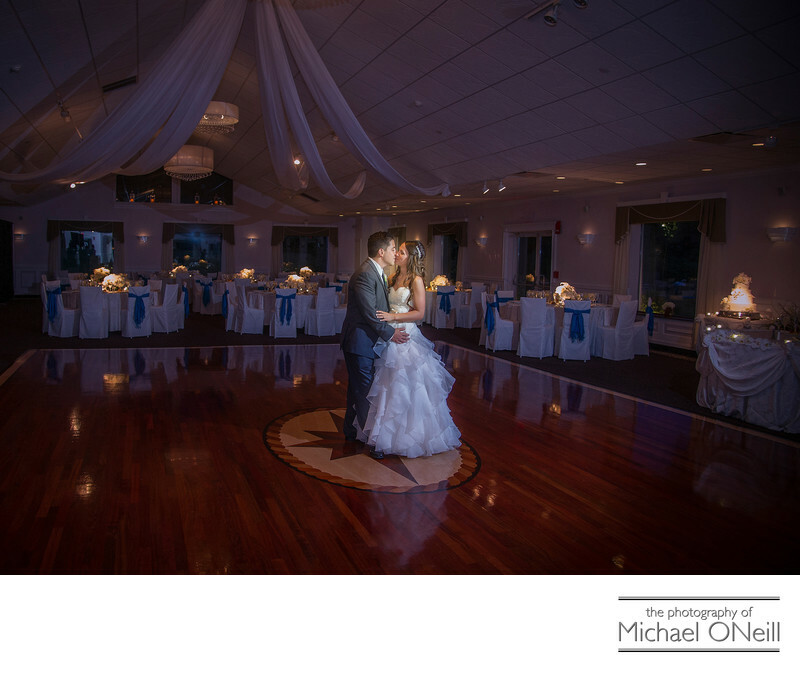 As an added bonus, Flowerfield is located just 15 minutes from my East Northport, NY wedding photography studio and gallery. I am an experienced wedding photographer who has worked at Flowerfield on many occasions over the years. If you are planning a Flowerfield Celebrations wedding I would love to talk to you about all your plans and desires for your wedding day.